The Qvest Media Group has a new majority shareholder. With its planned closing at the end of September 2016, the RAG-Stiftung (RAG Foundation) will be acquiring a majority of the shares in Qvest Media from the company’s founders, Gunnar Wellen and Peter Nöthen, through its investment company RAG-Stiftung Beteiligungsgesellschaft mbH. The shareholdings include all subsidiary companies of the Qvest Media Group in Germany, the United Arab Emirates and Singapore. The transaction is subject to approval by the antitrust authorities. The management of Qvest Media is planning to build further upon their successful international growth path as a result of the new partnership and open up new business areas and markets. With Qvest Media, the RAG-Stiftung is investing in a leading systems house for media and information technology through its subsidiary company. “Digital networking is one of today’s social mega-trends and is reflected, among other things, in the rapid rise of web applications and new media,” says Dr Helmut Linssen, Financial Director of the RAG-Stiftung. “Investing in promising sectors for the future is a part of our long-term portfolio strategy. With Qvest Media, we are taking another important step forward and are delighted to be investing in a global business that, like us, has its local base in North Rhine-Westphalia,” Linssen explains. As a leading systems architect for consultancy regarding technical and operational media business processes as well as for the design, development and construction of media technology infrastructures, Qvest Media is currently involved in more than 60 technological projects worldwide. As part of these, the company implements audio, video and IT-supported production and distribution systems for public service and privately-owned TV, news and media networks, telecommunications providers, sports organisations and content platform operators. Although its services and operations divisions are already highly regarded, the company still sees significant room for potential growth. “Digital networking already pervades large parts of our lives today. Consumers expect to be able to access online media content such as images, videos, games and information anywhere, at any time and from multiple sources. The increasingly important interplay between new technologies, systems and providers requires an expierenced partner like Qvest Media. Important issues that are a particular focus for our customers include video-on-demand and over-the-top services, which large providers such as Amazon, Apple and Netflix are already offering successfully. Furthermore, we continue to be heavily involved with artificial intelligence for media analysis and media data management, as well as the digital utilisation, distribution and commercialisation of content,” says Peter Nöthen, CEO of Qvest Media. “With the RAG-Stiftung by our side, we will further develop these new business areas and actively address new markets,” Nöthen explains. 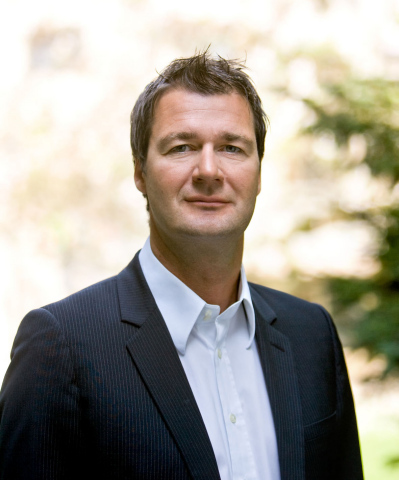 The company will continue to be managed by Peter Nöthen as CEO of the Qvest Media Group. Gunnar Wellen will be leaving the management board and will continue to serve the company as an advisor.